The hot water extraction method is by far the best cleaning method for all carpets and is recommended by top experts within the carpet industry. 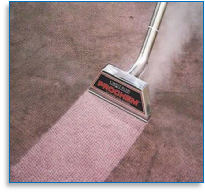 If the carpet has any stains or marks we will start by treating these with our top of the range stain removal products and will do our best to remove the stains or marks where possible. This will depend on what the stain is, how long it has been there and what it has been previously treated with. Any heavily soiled areas will be pre sprayed to help lift and loosen the dirt. The carpet will then be injected with the hot water and cleaning solution at high pressure to ensure it reaches right down to the very base of the fibres. We will then immediately use the very powerful extraction on the machine which will extract the dirt and water from the carpet into the tank of the machine. 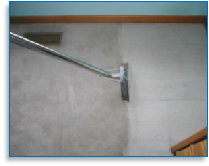 This process will be repeated until the water extracted from the carpet runs clear ensuring the carpet is 100% clean. 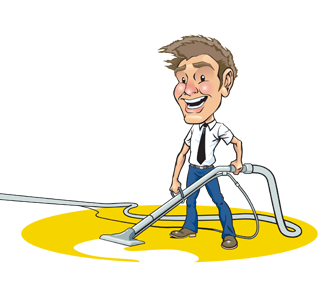 The hot water extraction process will remove all the dirt and dust mites from the carpet, ensuring the carpet is hygienic again. It will also lift the pile up and brighten the colour of the carpet. 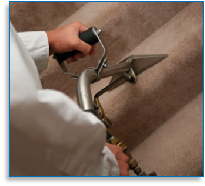 Asthma and allergy sufferers will benefit greatly from having their carpets professionally cleaned as it is the dust mites within the carpets which can trigger an attack. 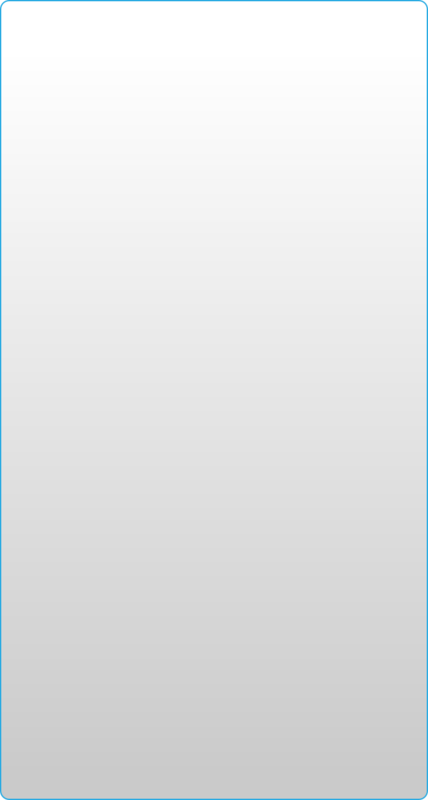 The removal of these dust mites through the cleaning process will give great relief to the asthma or allergy sufferer. Our technicians will move the movable furniture around while they work and replace every thing back upon completion, placing furniture pads or foil under the furniture where required. We do not expect our customers to move any of the furniture themselves.